Welcome to 2014! Can someone please slow this year down a bit since it seemed like 2013 went by in the blink of an eye. I have decided to make 2014 the year that I will become a confident bread baker - including all kinds of bread. 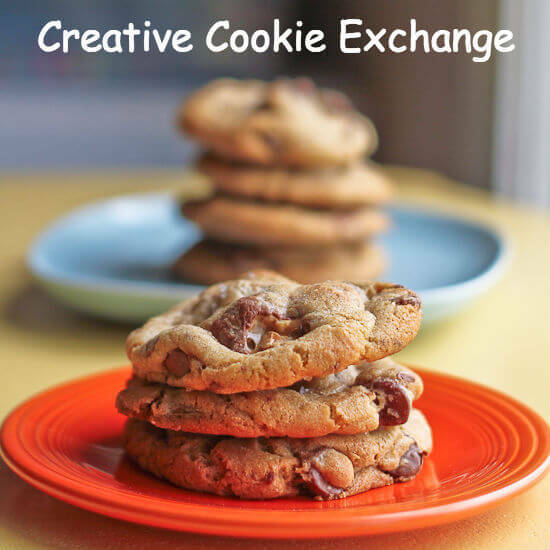 I have been very fortunate in being able to join the #TwelveLoaves baking group. If anyone can help me achieve this goal it is this group of amazing bakers. It is going to be challenging for me, but I am so excited to get started. I hope that anyone else who wants to achieve this goal will follow along as I attempt each months theme - it will be fun and we can learn together. Fortunately for me the theme for #TwelveLoaves January 2014 is Keep it Simple! What a great way to ease into the group, or so I thought. Growing up I always loved having crumpets for breakfast. Warm and toasty, with butter melting through the holes and some honey drizzled over the top, that first bite is just sensational. They are quite popular in Australia and come in both round and square versions, as well as whole wheat. I have missed having crumpets for breakfast and decided that I would try them as my first baking project for the group. There are a lot of recipes out there for crumpets but I found one I thought would be a sure thing. I was wrong, and even though I followed the recipe to the letter, the crumpets turned out more like English Muffins. Now, this wouldn't have been a bad thing if that is what I was aiming for but I wanted crumpets. There was also that horrible feeling in the back of my mind that I was letting the group down by failing at my first attempt. So I searched for another recipe and found one that was completely different - in both ingredients and preparation. I was so anxious for this one to work that when I discovered that I had grabbed a half teaspoon measure instead of a teaspoon for the yeast and it was way too late to go back, I wanted to call it a day. However, I decided to proceed with the rest of the recipe and just see how it turned out. Much to my surprise the crumpets rose beautifully, little holes appeared on top at they were cooking just as they were supposed to, and the finished product looked just like a crumpet should look. Maybe I did only need 1¼ teaspoons of yeast after all ;) . Also, I did flip some of the crumpets over like the recipe suggests, but for most of them I just let the bubbles appear at the top, took off the non-stick egg rings I used, and then just let them slowly dry in the pan because I knew I wanted to put them in the toaster the next day for breakfast. #TwelveLoaves-Keep it Simple! We enjoyed a delicious month of December with our Holiday Breads. January #TwelveLoaves is here and we are going to Keep it Simple! Choose a recipe that is not overly complicated, whether in technique or ingredients. Share your January Keep it Simple! Bread (yeast or quick bread). Let's get baking! 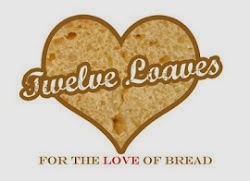 When you post your Twelve Loaves bread on your blog, make sure that you mention the Twelve Loaves challenge in your blog post; this helps us to get more members as well as share everyone's posts. Please make sure that your bread is inspired by the theme! Please link your post to the linky tool at the bottom of my blog. It must be a bread baked to the Twelve Loaves theme. Have your Twelve Loaves bread that you baked this January 1, 2014, and posted on your blog by January 31, 2014. I am going to share this with YeastSpotting. Sift the flour and cream of tartar together into a bowl. In a medium bowl, mix the yeast and the sugar together with ¾ of a cup of warm water, and let stand until the water becomes foamy. Stir in the remaining lukewarm water. Mix the yeast mixture into the flour mixture, and beat vigorously for two minutes, or until you get a thick, yet smooth batter. Cover the bowl with cling wrap and let it stand in a warm spot until the batter rises and then falls. This will take around 1 to 1½ hours. Add the salt to the batter, and beat for about 1 minute. Then, cover the bowl again and let stand for 15 to 20 minutes. Mix the baking soda and warm milk together in a mug; then, gently stir it into the batter. Heat an oiled griddle or frying pan over medium-low heat for two to three minutes. 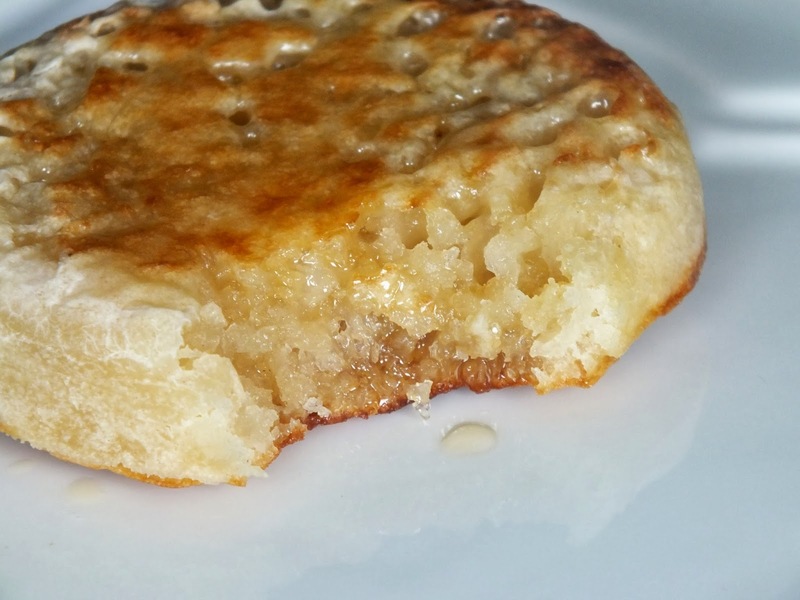 Put a greased crumpet ring onto the griddle/frying pan, and spoon about 1/3 of a cup of the batter into the ring. Remember: the amount of batter you will need to make a crumpet depends on the size of your crumpet ring. Aim to get the crumpet to a thickness of about ¾ of an inch. Watch for holes. If holes do not form on the crumpet-to-be, add a little more warm water - one tablespoon at a time - to the batter in the bowl and try again. If the batter is too runny and leaks out under from underneath the ring, work in a little more all-purpose flour and try again. Once the batter is at the right consistency, cook the crumpets in batches of three. Flip the crumpet. When the crumpet's top is covered with holes (this should take around seven minutes) it is ready to be flipped. To flip a crumpet, remove the ring using tongs, and then flip the crumpet with a spatula. Cook the second side of the crumpet until it turns pale golden brown. Remove the crumpet from the griddle. Oh, my gosh, these look perfect, Felice! I'd love to start my day with one (nope, two or three!!) of these beauties! Happy New Year, my friend! Where have crumpets been all my life? I guess it is because they are not found often in the South. I've never had one however I want to change that very soon. Happy New Year to you! Beautiful!! I'm definitely going to try these out sometime. Do you think that full fat milk is important for these to turn out properly? My son isn't drinking whole milk anymore, so I usually keep 2% in the house, but can totally buy some if it's important to the recipe. Ashley I only had 1% milk so I added a splash of whipping cream to add some fat. oh my goodness!!! I love this! I've never made crumpets before! love that you shared this! Happy New Year!! Great! I discovered Crumpets thanks to you. Happy New Year from another member of Twelve Loaves. I made crumpets for another challenge in 2013, Felice, and was so thrilled when they turned out so I completely understand how you feel. That second batch turned out perfectly!! 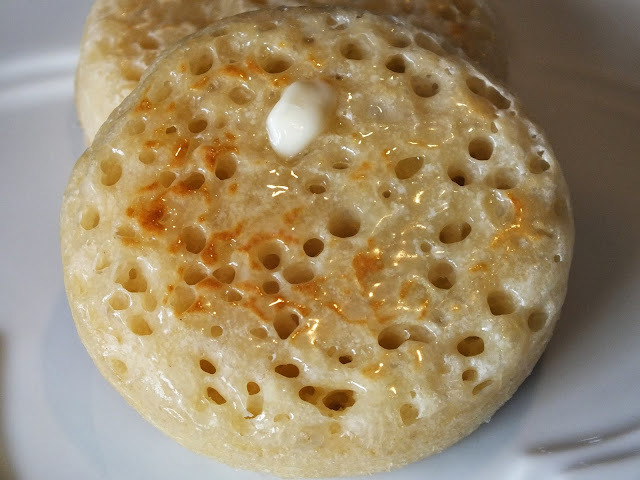 There's nothing better than a warm crumpet with the holes filled with butter. We also like to drizzle on some honey or golden syrup. Those look delicious. The thing about yeast baking is that it is so forgiving, even when you use less than the recipe called for. It just takes a little longer to rise. Happy New Year! I adore crumpets and why don't I ever make my own? Love your crumpets, Felice. I'm so happy you shared it with us for Keep it Simple January. Happy New Year and Happy Baking in 2014, Felice!! Wow-- so pretty! This does not look like the work of an amateur baker! Your confidence should be sky high when it comes to bread baking. I am so happy to learn this recipe and think I see a purchase of those crumpet rings in my future. Happy new Year! I wasn't aware about crumpets....but they look beautiful! I 'll have to try these. Happy New Year! You've inspired me to make these tasty treats for the first time! 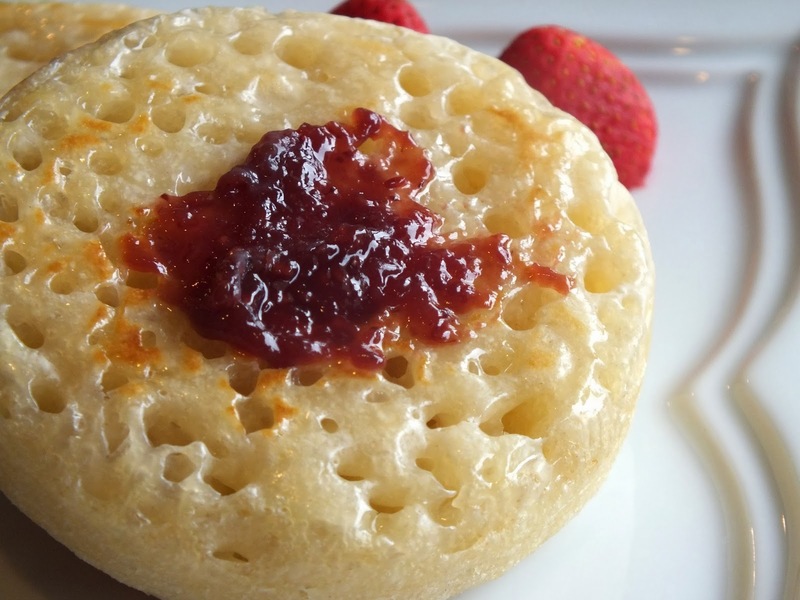 Your crumpets look absolutely perfect! Ive never had a crumpet - but now I want one in a bad kind of way! Oh gracious! Your crumpets look absolutely perfect!!! I've made crumpets only once before but mine didn't turn out as beautifully as yours. Now you have me wanting to make them again...I LOVE crumpets!!! I have never made crumpets before. In fact, I've never even tried one! These are kinda cute! :-) I've always wanted to try one. 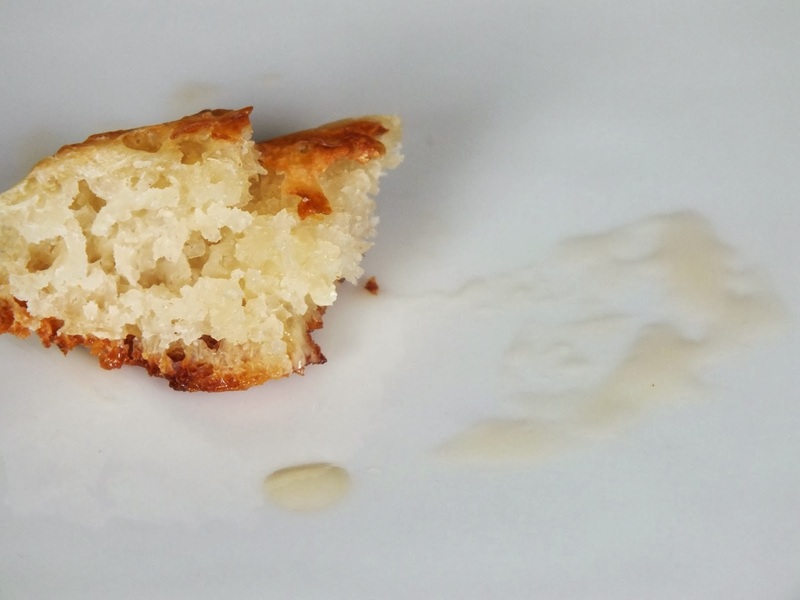 Thank you for going through so much trouble to find a crumpet recipe to share with us. I look forward to seeing what breads you try! I hope you have a good start to the year. FABULOUS!!!! I LOVE crumpets, and I can only get them at Sprouts..which is in no way convenient for me. And isn't homemade ANYTHING better? SO glad to see this post. No longer will I consider crumpets "just another English muffin". Yours look deliciously tempting, all toasty and topped with melting butter. Good thing you had a back up leavener: cream of tartar plus baking soda. As soon as the liquid hit them you had the equivalent of single acting baking powder. Your recipe is the first crumpet recipe I have seen that includes an acidic ingredient to activate the baking soda. You would be amazed at the number of crumpet recipes that have baking soda and no acid to activate it. I almost get the notion someone was missing an ingredient, so they left it out and still achieved decent results and thus figured it wasn't necessary to list it when they passed the recipe on. Banana Pecan Breakfast Cake + Giveaway!